Can I preview a Tribe before I join it? 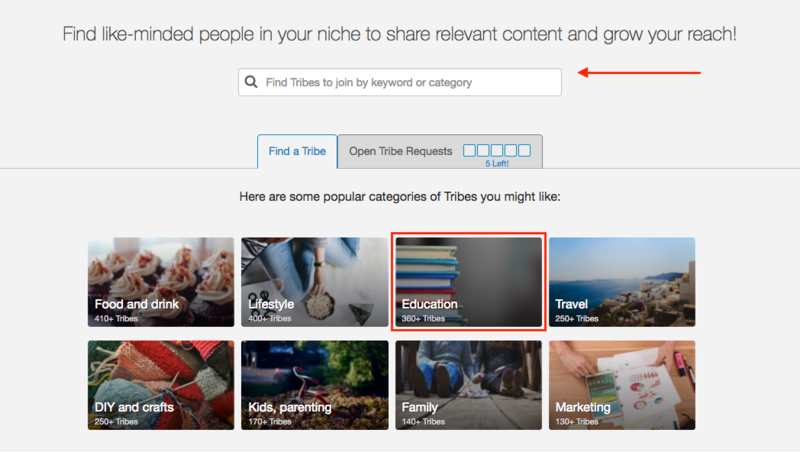 Find the best Tribes for your niche by searching and previewing Tribes before you join! Absolutely, it is important to know which Tribes will work best for you and your PowerUp limits. That is why we created an easy way to Preview a Tribe before joining! The Preview mode is pretty powerful in that it lets you view the Tribe as if you were actually in it, but doesn't yet count towards your Tribe Join limit. When previewing Tribes, consider the quality of the content in the Tribe, the importance of the niche to you, and the value of the time you might save Scheduling content from that Tribe as compared with trying to curate that content in other ways. 2. At the top left, click on "Find a Tribe." This is how you can utilize a search function to look for Tribes that could be really interesting to you! 3. On the Find a Tribe page, there are two options to choose from. The first is to type in a keyword or category to pull up all related Tribes. The second is to choose from the section of popular categories of Tribes you might like. 4. After entering in your search phrase, the relevant Tribes will show up below. Found a Tribe that looks interesting? Click on the "Preview Tribe" button to Preview the Tribe before joining. 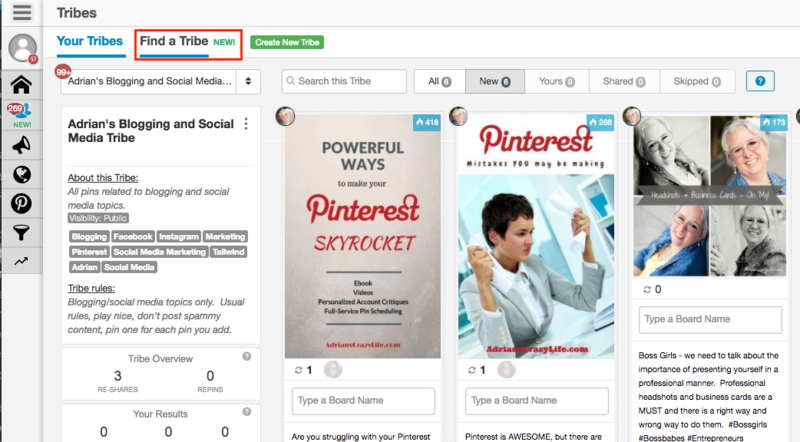 This will allow to check out the content already in the Tribe as well as get a closer look at the metrics of Re-Shares and Repins that this Tribe has generated. 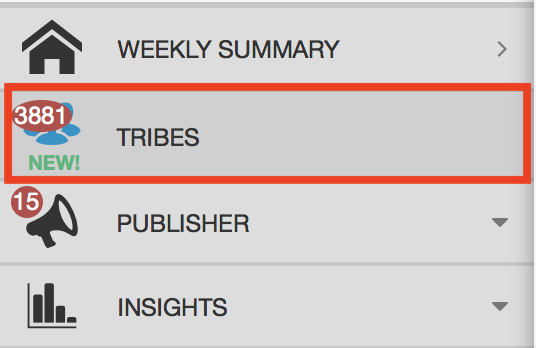 Helpful Tip: The "Open Tribe Requests" Tab shows you how many Tribes you've requested to join if that Tribe isn't public. You can only request to join 5 at a time, so if you've filled those up, just wait a bit until you get approved. 5. The Preview mode of a Tribe lets you check out a lot of neat stuff, kinda like being in the Tribe but not yet counting towards your limit of the number of Tribes you can be apart of. You can tell that this is a preview by the "Your are previewing this Tribe with limited access" bar, this means you have NOT yet joined this Tribe and cannot share or submit yet. If all looks well, click "Join Now" (or request to join) to gain access to the Tribe. Look at the “Tribe Overview” to see how impactful this Tribe has been overall for its members and balance those numbers against the size of the Tribe. To evaluate a Tribe you are in look at the “Your Results” section and your weekly Tribes summary email to see how impactful that Tribe has been for you over time compared to other Tribes you are in. Remember that as soon as you leave a Tribe all of your content will disappear from that Tribe (this prevents people from dumping content into a Tribe and leaving), so once you’ve found a good fit, it pays to stick with it.